We are proud to be joining an elite group of world class organisations across all sectors and to be the very first Housing Association in the North West of England to achieve this prestigious accredita tion. We are in excellent company in the elite group 1% companies across 75 countries globally to be accredited at this level for our exemplary approach to developing, supporting and leading people effectively to achieve sustainable results. outperform in any industry. Platinum is the highest level of Investors in People that an organisation can achieve. Wythenshawe Community Housing Group is proud to be accredited Investors in People Good Practice Health & Wellbeing Award. This recognises us as being a high performing organisation which puts employees’ Physical wellbeing, Psychological wellbeing and Social wellbeing at the heart of everything we do. Our wellbeing practices are embedded in the organisation, with managers taking the lead on creating a culture of a healthy, supportive, friendly and inclusive place to work; and where colleagues are empowered to make decision and to act on them. 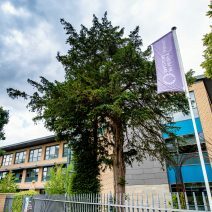 Wythenshawe Community Housing Group has been officially recognised by the Top Employers Institute as a Top Employer UK 2019 for excellence in employee conditions. Organisations certified as Top Employers dedicate themselves to providing the very best working environment for employees through their progressive ‘people-first’ HR practices. This global Certification Programme was established more than 25 years ago and has certified and recognised more than 1500 Top Employers in 118 countries across five continents, positively impacting over 6,000 000 employees globally. Wythenshawe Community Housing Group is committed to appreciating and celebrating diversity and in particular we support the employment of disabled people, both in recruitment and in the support of employees who become disabled whilst in the employment of the Group. 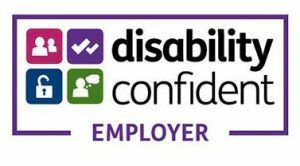 We are proud to be accredited as a Disability Confident Employer recognising the talents disabled people can bring to the workplace. We continue to challenge attitudes towards disability; increase understanding; and remove barriers; ensuring that disabled people have the opportunities to fulfil their potential and realise their aspirations. 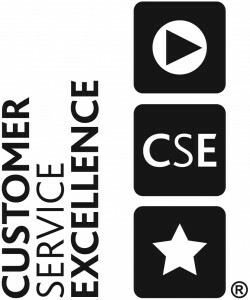 Wythenshawe Community Housing Group is very proud to be awarded the Customer Service Excellence Accreditation. The accreditation challenges the Group to know their customers better. To identify diverse groups, understand their needs and engage with them in a way that shows they are serious about delivering a high standard of service according to customer expectations. But most importantly the standard means that the customer is always at the heart of everything that Wythenshawe Community Housing Group does. 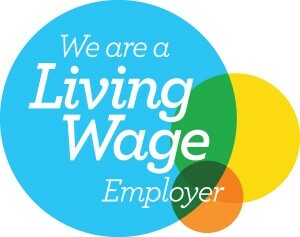 Wythenshawe Community Housing Group is one of several organisations in the Housing sector nationally to become an accredited Living Wage Employer, which will see their apprentices paid the living wage.The announcement will mean no employee at WCHG, will be paid less than £9.00 per hour – the rate independent experts calculate is the amount required to cope with the cost-of-living.